With a toddler running around it can be hard to incorporate fruits and veggies into our breakfast routine, but I’ve found that doing so makes a world of difference and really helps to jump start the day. I’ve always gravitated towards cold-pressed juices to make mornings a little easier on myself which is why I’ve teamed up with TheFeedFeed and Telula to share that incorporating more fruits and vegetables into your diet doesn’t have to mean more work. 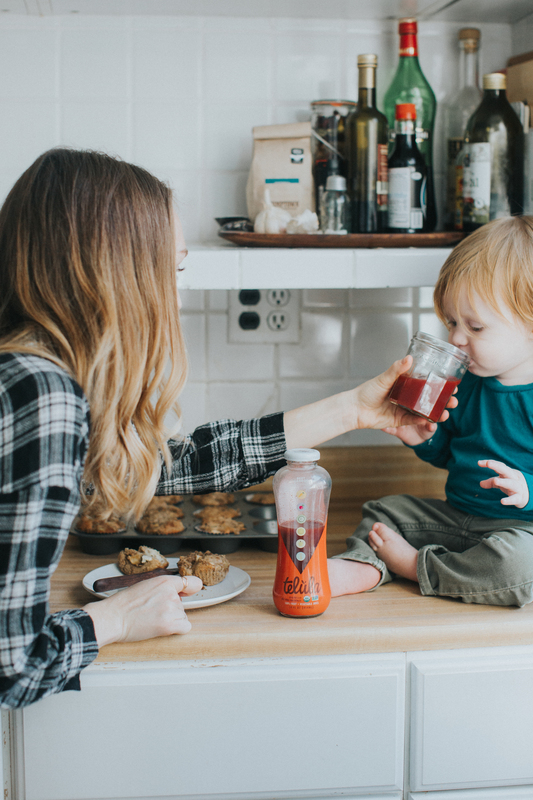 Their line of juices has become a staple in our household - not only do I admire their farm to table practices, but with ten different flavors there’s truly a juice for everyone. Our favorite juice so far has been their Beet Carrot. It’s rich and flavorful and the perfect way to start our day! Telula is widely available across the country - click here to find it in your nearest store! Preheat the oven to 450°F and chop your apples. In a large mixing bowl combine your flour, baking powder, baking soda, salt, and cinnamon. In your mixer cream the butter and add your sugar and 1/4 cup of the brown sugar. Beat until fluffy. Add the egg and mix well. Mix in your yogurt. Stir in the dry ingredients and add in the apple chunks. Divide the batter evenly between 18 muffin cups and sprinkle the remaining 1/4 cup of brown sugar on top. 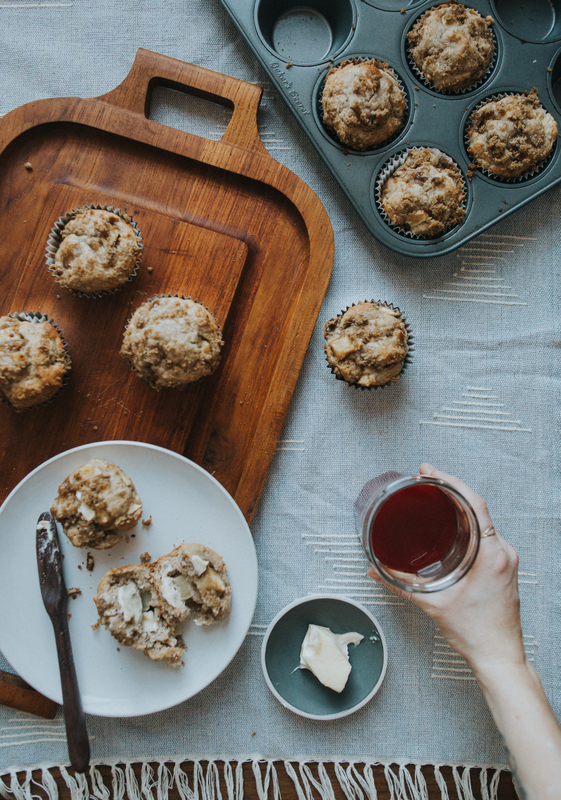 Bake at 450°F for 10 minutes, then turn the heat down to 400°F, and bake for an additional 5 to 10 minutes, or until a toothpick inserted into the center of a muffin comes out clean. Enjoy!